Catch & Release. Robin Becker Chapbook Series, Number 8. Co-winner of the 2011 Robin Becker Chapbook Prize, selected by guest judge Judith Barrington. Cover image: “Abandoned” by Tanya Camp. 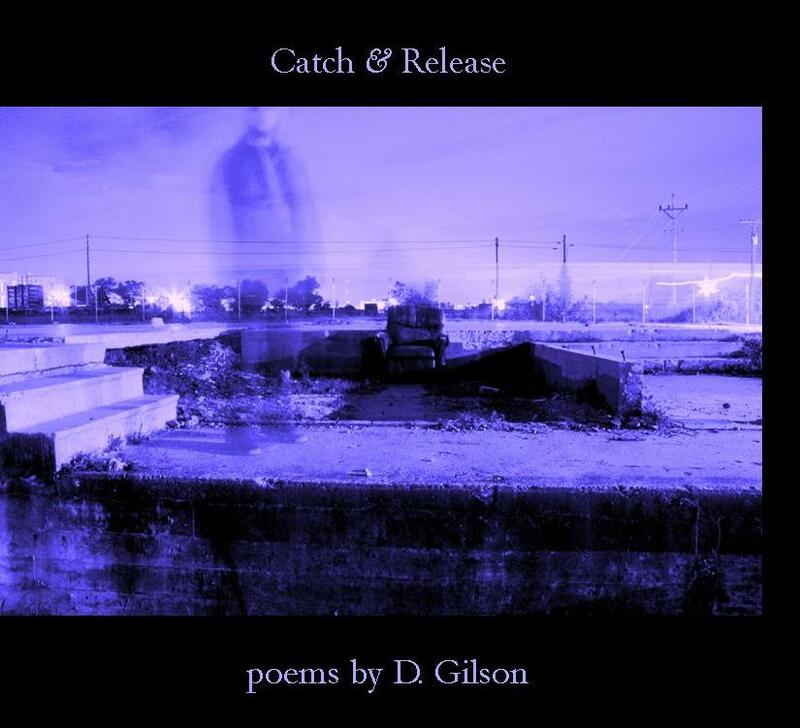 D. Gilson holds an MFA from Chatham University and is currently a PhD student in American Literature & Culture at George Washington University. His poetry, essays, and reviews have appeared in Assaracus, Beloit Poetry Journal, Moon City Review, The Rumpus, and elsewhere. Find him at dgilson.com. I praise our ability to move forward. Hurry! I found Gilson’s poem “Resolution” online about six weeks ago (I had never heard of him), and I have been waiting for this book ever since. I’ve been waiting for this since I discovered Gilson’s poem Resolution on line a couple of months ago. Hope this will be out soon.